Papaya isn't your typical holiday dish, but then again, who wants to be typical? A flurry of parties and entertaining usually accompany the coming of the holiday season. And whether a dinner party at home or an office party, these occasions usually demand some menu creativity. I say this as one who has a deep emotional attachment to classic shrimp cocktail, but one can have too much of the same old thing. Worse still, most of the holiday classics violate both considerations for a smart indulgence: they are not good for you at all, and most do not have enough intense flavor to warrant their indulgence. Bite for bite they just don’t pack enough joy. So this December I’m doing a series on healthy holiday entertaining Skinny Gourmet style. Today I recommend serving a papaya faux-custard for an intense, healthy, and unusual holiday treat. Serve garnished in bowls for an elegant sit-down dinner or in martini glasses for a cocktail style party. 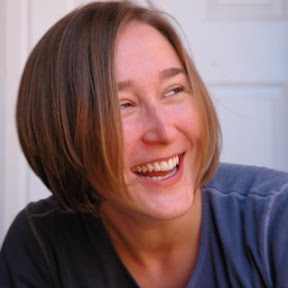 I am also getting back on the wagon and submitting this to Weekend Herb Blogging #111, hosted by Kalyn's Kitchen. 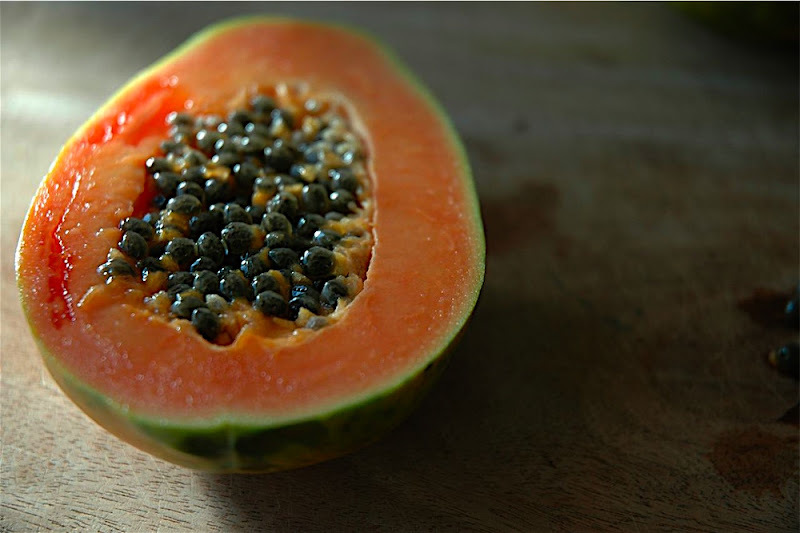 Papaya, or paw-paw as it is called in Ghana, has a heady flavor that is at once both earthy and sweet. Like most gourmet food, the quality of the dish depends heavily on the quality of the ingredients. A fine quality papaya will provide a flavor that is like ambrosia, like fine perfume made edible. 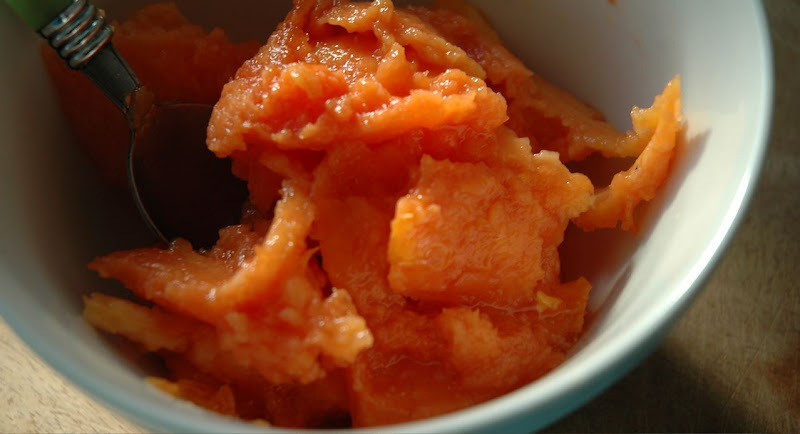 The texture of papaya is thick enough that a light mash will yield a custard-like quality. This earthy sweetness is then combined with the rich tang of Greek-style yogurt. Drizzle lightly with clover honey. Top with crushed pistachios. If you want to add a festive holiday touch, scatter with pomegranate seeds before serving. Those who want a more hearty dessert should consider serving this dish over a thin slice of fine quality pound cake. For my Weekend Herb Blogging posts I usually like to do a little digging and learn more about the origins and uses of the featured fruit, vegetable or herb. I can honestly say I have never been more surprised by what I found. I have never seen such diverse uses listed for one food item. The leaves, although not commonly eaten, can serve as a heart tonic. The seeds, also typically discarded, can be used as anti-inflammatory, to ease stomach ache and treat fungal infection. The mature fruit can be used to treat ringworm and also salve skin sores. Most interesting of all, the flesh of the papaya, when eaten, can exert a contraceptive influence, but it is also listed as an aphrodisiac. Depending on the kind of holiday season you are hoping to have, I suppose that is one more reason to make papaya a part of your eat, drink, and be merry. Cut the papaya in half lengthwise. Scoop out all the seeds. Take care to remove the somewhat thick internal fibers that line the seed bed. They are edible but tough and therefore unpleasant. The papaya should be fragrant and soft enough to scoop it out easily with a spoon. Scoop out all the soft flesh, taking care to discard any bruised or damaged flesh. In a bowl to preserve the juices, lightly mash or chop the fruit by crossing a fork and a knife across the bowl until you achieve the desired consistency. If serving over pound cake, place the slice of pound cake into the bowl now and pour fruit over the top. Add a dollop of thick Greek-style yogurt. Drizzle with clover honey. Dust with pistachios. Optionally top with pomegranate seeds. The service temperature should be somewhere between refrigerator temperature and room temperature, so remove from the refrigerator and allow to rest slightly before serving. The Greek yogurt may break down if left to rest for too long, so you may prepare the papaya in advance, but assemble just before serving. Alternative Presentation: Rather than presenting in individual servings, these ingredients could also be presented as English Trifle layered together with pound cake in a trifle bowl. What a gorgeous photo of the papaya. This sounds just delightful! What a fun time you must be having trying all these wonderful local fruits. Sounds wonderful, and your picture is lovely. Papaya seeds make a wonderful salad dressing that goes particularly well with spinach salad. 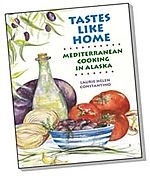 The recipe I use is from the late 80s/early 90s, and I recenly saw it on on epicurious.com. You should try it! What a luscious photo. I like the idea of pairing it with pomegranate seeds. Thanks all! I was pleased with how the photos turned out. There is only one place in my house that gets good light for photos (a cutting board balanced precariously on my stove-top). Laurie, the idea of using the seeds for a salad dressing would never have occurred to me. Thanks for the tip. Papaya are plentiful here, so I'll give it a try. Do you process them like pepper or use them whole?